“Aviation in crisis ... and saving is announced!”. The biggest air show in the world opened his doors on 9th of July, while many airlines are in a deep crisis. Again this year crowds of exhibitors, customers and media representatives pilgrim to Farnborough, in Hampshire, where probably the most important aviation exhibition held every two years. The mood is subdued. Many airlines are struggling to survive and the exorbitant fuel prices (among others) make the thought of profit at the first attempt to an illusion.Even the military aviation has seen better days. Budget cuts in military Etats, high public debt in many countries and a lack of understanding let the manufacturers' order books look more modest than in previous years. However, there were a few highlights that we would like to present to you. Mike E. Fader and Andy Herzog of WINGS AVIATION editorial team have been looking on site and captured some impressions for our readers. Like every two years the biggest air show in the world will take place at Farnborough. Exhibitors, distributors, customers and media people flow through the corridors, visit the pavilions and halls, and there is much talk and negotiations going on. This year is probably the halls with the manufacturers and their innovative products to reduce operating costs, the crowd-puller. 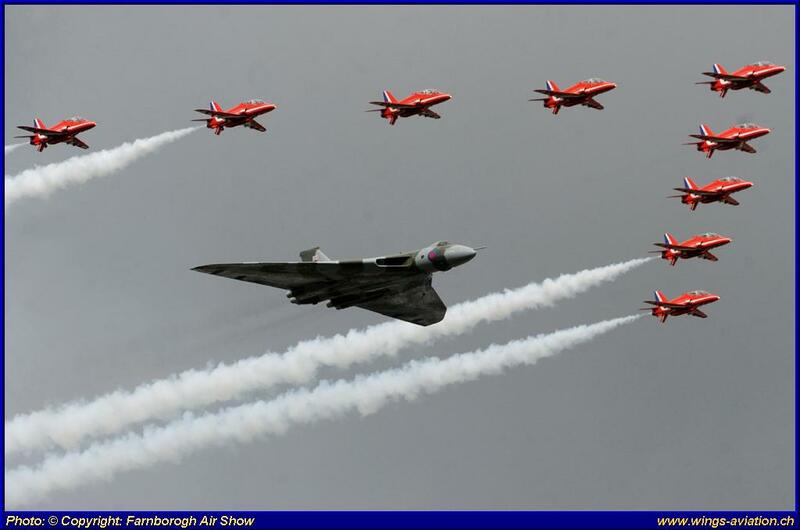 But great joy will arise at the Farnborough International Air Show 2012 barely. The large billion dollar orders of the previous trade shows will probably missed significantly. Many industrialized countries are in a deep recession or are about to slide into. High fuel prices, emission charges and exorbitant taxes, move especially airlines to drastic austerity measures. Many airlines have made ​​in previous years, their large orders/options already. The competition between the two giants was not to be overlooked this year. Boeing was able to announce a lot more orders/options this year than their competitor Airbus.Just in time for the start of the show Boeing announced the order of 23 B737 MAX by Virgin Australia, followed by a large order of U.S. aircraft finance Air Lease Corporation (ALC). According to CEO Steven Udvar-Hazy of ALC, are these 60 B737- MAX 8 and 15 B737- MAX 9. In addition, the company signed 25 options for the same types. Airbus had at its opening conference, earlier that week, introduced an improved version of the A330-200, -300 and -200F.An increased take-off weight as well as new aerodynamic improvements will enable the aircrafts a longer range and fuel reductions compared to the B777 and B787. In the late afternoon of the first day Airbus announced the order of four A321neo by Israeli Arkia Airlines. Arkia will operate the A321neo in an all-economy version with 220 seats. The choice of engines is still unknown. Sure, the A320 Demonstrator "Sharklets" by Airbus Industries is one of the highlights. Equipped with the new "Wing Fences" to reduce fuel consumption, they could convince the customer. Airbus showed on two days, the A380-841 (9M-MNB) in the new colors of Malaysia Airlines. Malaysia Airlines will take over the 9M-MNB shortly and used as a second A380 to its daily service from Kuala Lumpur to London Heathrow. Malaysia Airlines has ordered six A380s. 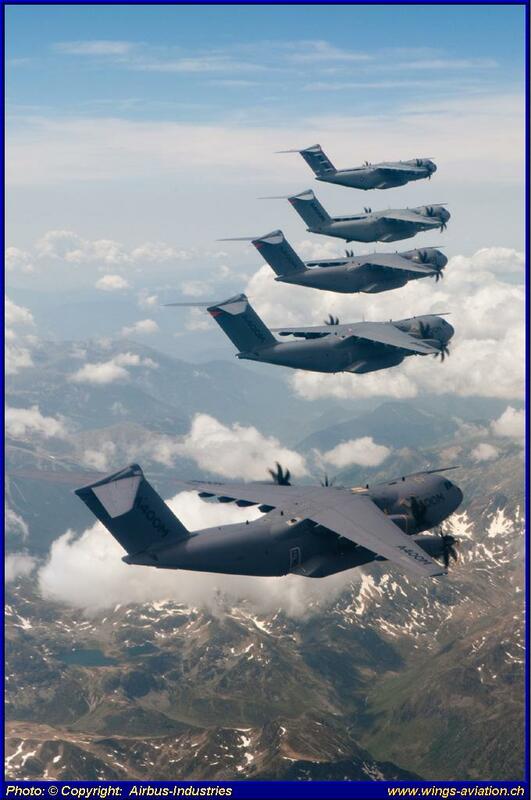 Already at the Fairford Air Show 2012 (UK) we were able to admire the A400M "Atlas" in flight. But topic of conversation was the A400M "ATLAS" in Farnborough, due to metal chippings in the engine. This enabled the aircraft not participating in the daily flying display. Airbus currently operates five "Atlas" in an intensive test program, shortly before delivery starts to the first customers. Boeing sends in the civilian sector's her flagship B787-800 Dreamliner (Qatar Airways) and a B737-900 (Korean Airlines) to the exhibition. The B787-8DZ of Qatar Airways (A7-BCB) will be delivered shortly to the airline. 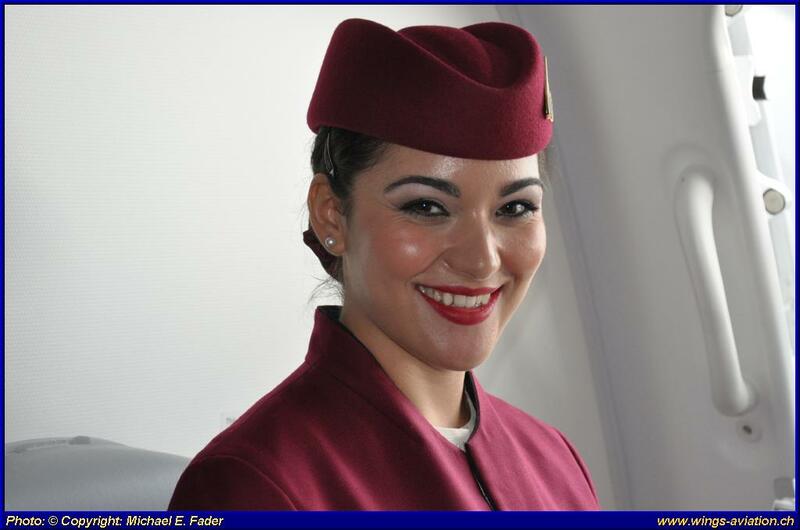 Qatar Airways has 30 firm orders and an equal number of options on the 787 "Dreamliner". Twin seated FA-18F of the latest version of the U.S. Navy displayed their performance. These were certainly the two Korean Aircraft Industries (KAI) T-50B trainers of the South Korean Aerobatic Team "Black Eagles", the first time participating in the Farnborough Air Show. A further five orders of the Chinese Hebei Airlines for the Embraer E-190 been made at the Air show and will be delivered later this year. This order increased the fleet of the Chinese regional airlines to seven aircrafts of this type. A day before the official Air Show, Bombardier received an order totaling 15 C-Series aircrafts (C-100/C-300) from an undisclosed customer. However, the Canadians left it open, who hides behind the "new customer". The first production AgustaWestland AW159 Wildcat helicopter has been transferred to the MoD at the Farnborough International Airshow. The AgustaWestland AW159 Wildcat is the latest version of the Westland Lynx but is substantially more high-tech than any other previous variant. 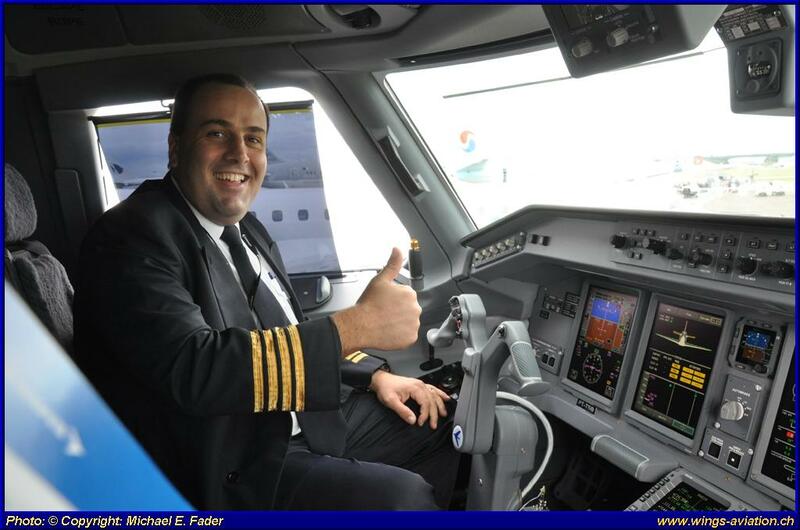 Upgraded features include more powerful engines, a totally redesigned tail and improved avionics.
" Wildcat represents a considerable advance over the current Lynx helicopters, bringing greatly improved performance and capability", Rt Hon Philip Hammond (right), UK Defence Secretary, explained in a statement made during the Farnborough Wildcat handover. He continued: "The contract to provide training and support will keep them flying wherever they are needed. These helicopters will be a key part of the future equipment programme for the Armed Forces that will see £160 billion spent over the next ten years. By balancing the budget, we can deliver the airframes and the millions of pounds of support they require." "This is an excellent helicopter, which is very important to the Army Air Corps", added the Chief of the General Staff, General Sir Peter Wall. "We will be seeking to get it fully operational as soon as possible." Richard Branson's Virgin Galactic LLC presented his Space Ship 2, as a mock-up. From 2013 the first few wealthy passengers take off from Spaceport America, New Mexico in the suborbital orbit to enjoy a few minutes to get the feeling of weightlessness! With over $ 200,000 per flight a rather expensive experience! One attraction was undoubtedly the last airworthy Avro Vulcan V 698-B.Mk.2 which was to be admired, unfortunately, only in the static display. With much love and tremendous financial costs the "Vulcan to the Sky Trust" UK trying to keep the Avro Vulcan as long as possible in the air. OKB Yakovlev, Russia surprised the audience with the presentation of their light attack plane YAK-130, the first time showing in public with full armament under the wing stations. Since we are already spend two weeks at various air shows in England, the Farnborough show was certainly a successful conclusion of our journey. In retrospect, and compared with previous visits in recent years, the Farnborough 2012 edition was rather modest. Regarding the flight program and the static display of aircrafts and helicopters, there were not much new things, except the previous mentioned highlights. The economic and financial environment in which airlines, manufacturers and customers are currently moving set other priorities than to carry the wishes of the many "aviation enthusiasts" account, but this also brought about a certain understanding on our part. The hope for the future, as we know, dies last! We think that by the end of the show, the order books for some order/options can be obtained. For us journalists, it is certainly not easy the orders /options to convey precisely because we know that many of the manufacturers place their orders for the sake of media impact on the major trade shows, although the orders/letters of intent are often signed even before the fair starts and are already known.